This course trains students in conducting formal analyses, writing catalog entries, and making visual presentations that require students to conduct and integrate primary and secondary source research. The Cooper Hewitt Library regularly collaborates with faculty and students, providing research resources, curriculum consultation and Special Collections presentations for classes. Selecting one work from the Cooper-Hewitt collection to study during the semester, that ”work” can be a book from the Cooper Hewitt Design Library presented by staff during curatorial orientations. 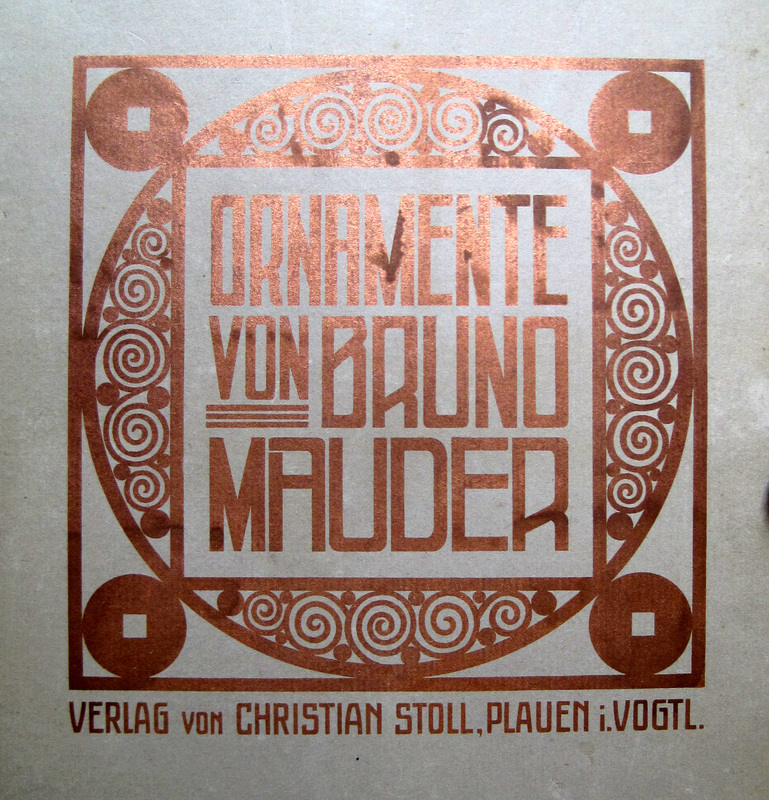 Ornamente, by Bruno Mauder. (L:) Plate 3. (R:) Plate 7. This large-format folio, Ornamente, by Bruno Mauder (1877- 1948) was printed in 1910 by Christian Stoll, a publisher known for producing similar design books. Likely one of his earliest works, the folio contains 16 loose plates, each with a series of brightly colored, distinctive decorative patterns printed with the pochoir stencil technique. 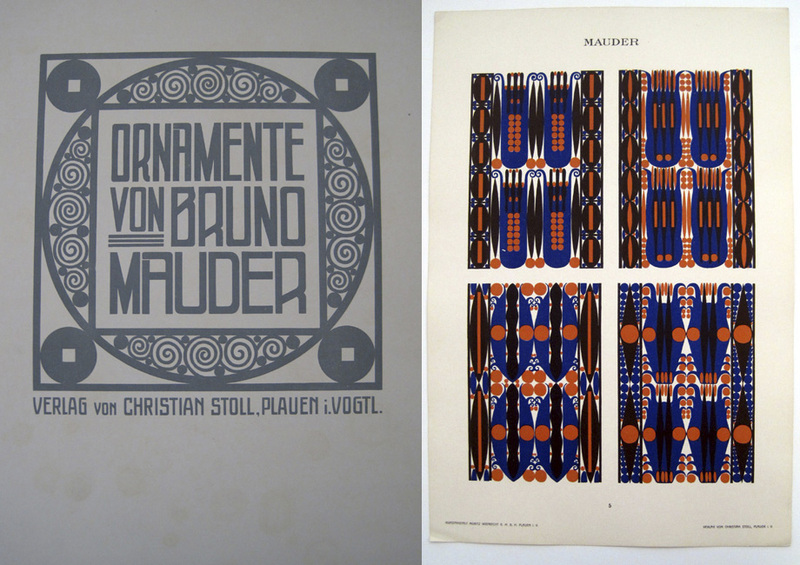 Marked by their geometric, curling and swirling forms, Mauder’s designs blend the stylized foliate influences of the Art Nouveau and the German Jugendstil with the more abstract geometric style of the Wiener Werkstatte. 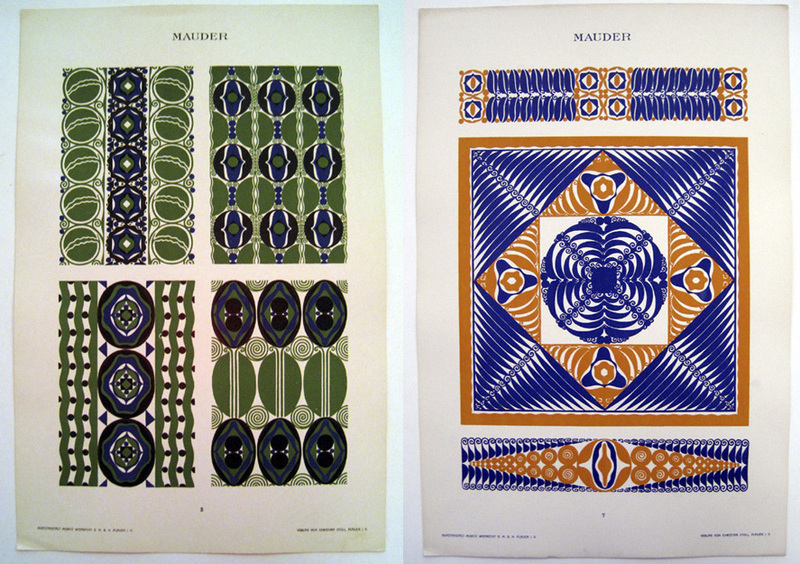 Like many of the Library’s pattern books, the plates are presented without title, description, or instructions as to how Mauder intended them to be used. His designs may have adorned book bindings and other graphic designs, or even been translated to wallpaper or textiles, or any aspect of design. This title was a Pro-Seminar Object researched and written about by Parsons/CHM student Ria Murray, in the Fall semester of 2016. CHMRB copy was purchased by Margaret Caldwell for the Cooper Hewitt, Smithsonian Design Library.